So you’ve got a copy of Beasts of Balance*: congratulations! Magnificent towers and wonderfully weird worlds await you. Part of the beauty of Beasts of Balance is that there’s no right or wrong way to play the game. That being said, there’s no harm in giving a few pointers on how to get the most out of the game – from setting up the game for the first time, to become a stacking master. So without further ado, here is our beginner’s guide to Beasts of Balance (or non-beginners, even). Happy stacking! *If you haven’t, check out our trailer to see what it’s all about! Download the free Beasts of Balance app from either the App store, or Google Play store, and open the app on your phone/tablet. Put 3 AA batteries into the bottom of your plinth, then press the button next to the battery compartment to turn the plinth on. You should see a red light blinking slowly on the bottom of your plinth until it pairs with the app. The two should quickly pair up, which means you’re all ready to stack! 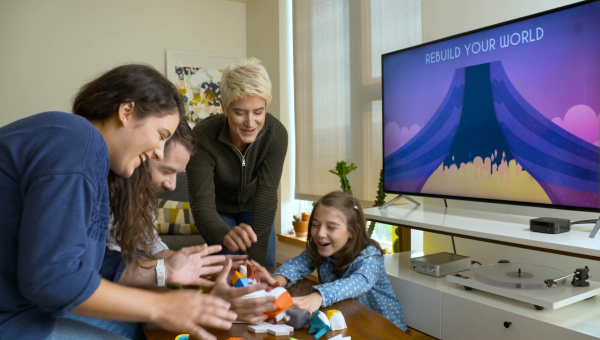 If you’re having problems with the setup above, make sure to check out our FAQ and troubleshooting guide. And if you’re still not having any luck, drop us a line at help@sensibleobject.com and we’ll look into it further. Once you’ve opened the app, there’s a simple tutorial that guides you through the game to show you how all of the different artefacts work. Whether you follow this, or simply explore how to use the different artefacts by yourself, picking up the basics of Beasts of Balance comes pretty easily. Here you can see how many beasts you’ve kept alive (some people, being benevolent creators, enjoy trying to keep as many alive as possible until the very end). You can also see the number of artefacts you managed to get on the tower, and in the bottom left corner you can see the button for the Bestiary. 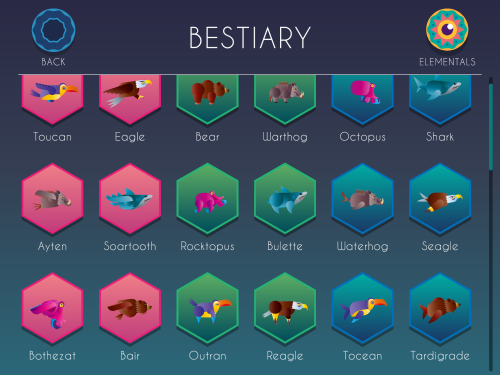 The Bestiary is your almanac of sorts, used for keeping track of all the beasts you’ve found. It includes nifty stats, plus clues on how to discover the beasts you’re still missing. Managing to complete your collection is no small feat (especially when you factor in the expansions and add-ons! ), so playing to discover them all is a challenging but satisfying way to play too. 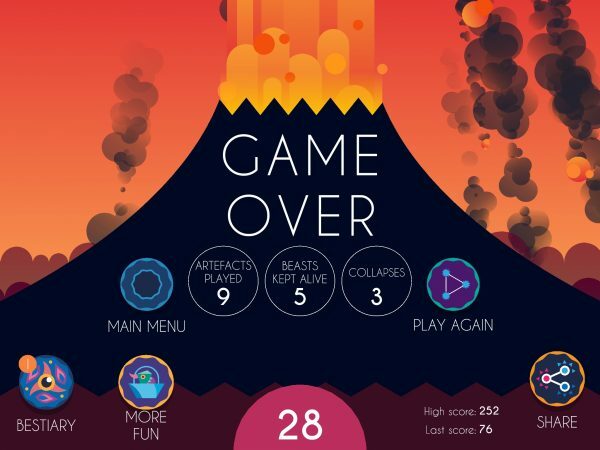 Aside from the ways to play listed above, the most popular way to play is by trying to get the highest score possible. In the first couple of games, people will generally get between 30-50 points. As they get more thoughtful with their stacking, they’ll start breaking 100, maybe even 200. But when you really get into it, you can get your scores into the 1000s (the highest score we know of so far is 1406). Before you start shaking your head in disbelief, you should know that getting all of your pieces onto one tower automatically doubles your score. And getting the additional add-ons like the Omnibeast or Lalnalion can help push it even further. Still, this is no easy feat! As we’d mentioned, there’s no right or wrong way to play the game, so there’s no one way to guarantee the highest score. Whilst successfully placing all of your pieces automatically doubles your point score, this doesn’t always mean your score will definitely be higher than if you’d played a different combination of pieces. Get Miracle artefacts on the plinth as soon as possible. Yes, they are hard to stack, and make the game a lot more challenging. But if you get them in early, you’ll be able to rack up extra points you would’ve lost for a lot longer. Think about the foundation of your tower. This one sounds obvious, but it still *bears* saying: if you start with a solid foundation, it’s a lot easier to build upon! All of the beasts and other artefacts have been carefully designed to align with each other in clever ways. For example, the 3 small beasts are all the same height. So choose your starting artefacts wisely, so that you can build on top of it more easily. If there’s an issue with the tower, especially at the beginning, don’t be afraid to correct it. 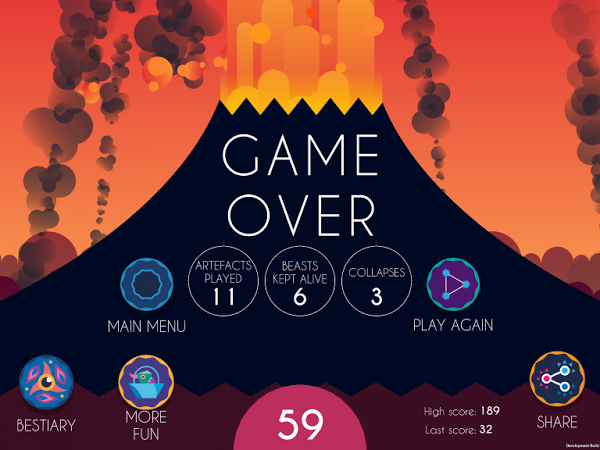 If you’ve played Beasts of Balance for even five minutes, you’ve probably seen the menacing volcano, waiting to destroy your world at the first sign of falling artefacts. However, whilst playing in fear of the volcano, some players sometimes forget that you have 7 seconds before it actually erupts. This doesn’t sound like long, but if you don’t have many artefacts on the tower, it’s actually a rather reasonable window. So if you’ve misplaced an artefact, don’t resign yourself to building on that wobbly foundation – there’s still a chance to correct it before you continue! Experiment with how you place your artefacts. This is highly connected to point number 2: it’s often a good idea to try and test your stacking options, whether on the table or on the plinth (if you’re quick!) before scanning your chosen artefact. The more you play around with the artefacts, the more unusual angles you’ll discover within them. For example, there’s one beautiful pose, the ‘breakdancing bear’, which we’ve captured below. This lets the bulky bear balance nimbly on the top of a tower! Finding all of these unusual angles will also help prepare you for Beasts of Balance Battles, where playing artefacts in weird and challenging ways will work in your favour even more. Work as a team. Beasts of Balance is a flexible game, so you can play it solo or in a group. However, if you have others with you, it’s worth taking advantage of that! For example, if you have the Miracle of Distraction at work, it’s worth having someone taking over the on-screen challenges whilst you deal with placing the next artefact. Pay attention to the firefly. The fluttering firefly on screen is more than decoration. It’s your ticket to selecting beasts for different actions, which is key to getting a high score. Deciding when and on what beasts to play your migrates and crosses can make the difference between evolving a beast or not, creating a high-scoring hybrid or a lower scoring one. So keep an eye on that firefly, and use it to time your migrate/cross pieces wisely. If you try out any of our tips, let us know if they’ve worked for you or not! Or if you have some nifty tricks of your own, share those with us on social media too. Using Beasts of Balance in education. If you’re a parent, guardian, or teacher, it’s worth seeing how Beasts of Balance has been used in the classroom and beyond. Although it’s not strictly an educational game, it’s been used to help build fine motor skills, cooperation, and focus in younger children. In other cases, science teachers have used it as a means of introducing key biology concepts such as ecosystems, evolution and adaptation. But instead of us rattling off more ways the game has been used, why not hear it from the educators themselves? We have an interview with a Makerspace Facilitator at a Silicon Valley high school, perceptive thoughts from Computing Coordinator Simon Widowson, and many more testimonials here. Share your stories with us and get featured! While we’ve got our own ideas of how people can get the most out of Beasts of Balance, there’s nothing we like more than seeing the creativity of our community. One example came from Ollie, a bright-minded fan who designed and printed his own 3D beaver to use in the game (which Tim is holding below). 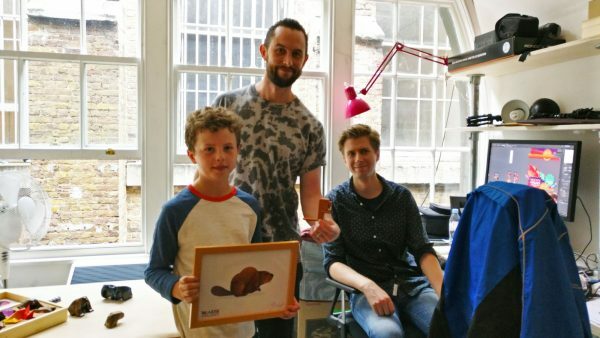 We were so impressed by Justin Beaver that we had to invite Ollie and his dad to visit us in the studio, and give them a set of DIY tags to add the newly-created Justin Beaver into the game. So if you’ve come up with new ways to use the game, stories around it, or something else, please share them with us on social media or at hello@sensibleobject.com. They really do make our day! Or, if you want to add a competitive edge to your game, check out Beasts of Balance Battles, which funded $400K with the help of over 3,500 backers on Kickstarter later this year. We’re very excited to be releasing it in Spring 2018. Battles will provide a competitive expansion to Beasts of Balance, where you can play against others to make your region of the world the best of them all. It uses sneaky NFC cards, exciting new beasts and legendaries, and new ways to play old pieces. If you want to find out more about it, make sure to visit our Kickstarter page, or you can pre-order here.